There has been a constant effort on the part of the government to encourage compliances by making the GST Portal more Assessee friendly. Though there has been issues since implementation in July 2017, the Government has fairly addressed most of the issues & now we are getting into the next stage of simplification of GST Returns. Let us try & review the same. As per GST Council the following are the salient points pertaining to the New Gst Returns. Firstly if the Turnover during the preceding financial year is more than Rs. 5 Crores, then the assessee by default has to file monthly returns. If the Turnover is less than Rs 5 crores then the assessee has an option available to choose Monthly or Quarterly Returns. Sahaj can be opted only if you have outward supplies under B2C category and inward supplies including supplies attracting reverse charge only. Sugam can be opted only if you have outward supplies under B2B & B2C categories and inward supplies including supplies attracting reverse charge only. Hence if you have Exports, Imports, Supplies to SEZ units and deemed exports then you cannot opt for Sahaj or Sugam. There are three types of Returns. a) Normal i.e. 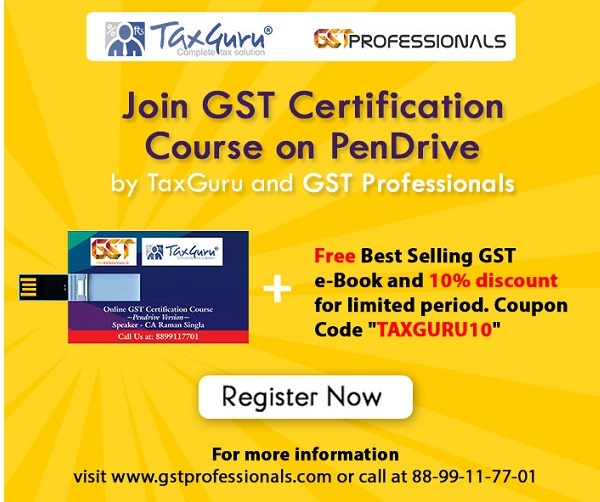 “GST RET – 1” which is monthly or quarterly. c) Sugam i.e. “GST RET – 3” which is quarterly. The above returns are akin to the existing GSTR 3B. The erstwhile GSTR 1 & GSTR 2 will be referred to as GST Anx – 1 and GST Anx – 2. These would be annexures & the assessee need not file these returns separately. Once the applicable GST RET 1/2/3, it would be deemed deemed that the GST Anx – 1 and 2 are also filed. Taxpayers who opted Sahaj (or) Sugam cannot claim input credit on missing invoices. They also need not report on nil rated, exempted and Non-GST supplies. Normal returns allow reporting of all types of inward and outward supplies. Switching from Normal to Sugam (or) Sahaj can also be exercised only once in a financial year at the beginning of any quarter. Switching from Sugam to Sahaj is available only once in a financial year at the beginning of any quarter. Switching from Sugam to Normal is available more than once in a financial year at the beginning of any quarter. Switching from Sahaj to Sugam (or) Normal (under Quarterly option) is available more than once in a financial year at the beginning of any quarter. While opting for any type of return, there is a questionnaire provided at the GST Portal which needs to be answered. Hence taxpayers need to answer the questionnaire carefully in order to comply with returns procedure in line with their businesses & requirements.